Zune fans, we're just a bit over 9 months into the life of the second-generation Zune, and I thought it was time to take stock of where we're at, and what things need to be fixed, and added, for the Zune to continue moving forward. Since launch, we've had a couple of minor firmware updates, and the big Spring 2.5 update, so if the pattern continues we should see something new from the Zune team this holiday season. Here are my own thoughts about the state of the Zune union. Things that I think need fixing, replacing, or adding. More Storage: The Zune 80 needs to grow in capacity (120 GB sounds good to me!) but it also needs a VGA (480 x 640) screen, if not a WVGA (480 x 320 or higher). We need a 16 GB flash Zune as well - music lovers might like the smaller player. 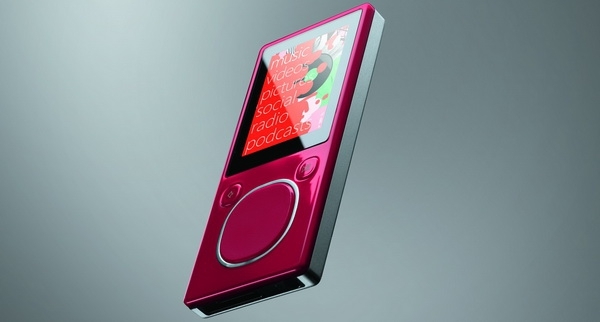 Just because Apple hasn't gone there with the Nano yet doesn't mean the Zune can't. Beat Apple for once in the storage game! Better battery life: if Apple can get five to seven hours of video out of their iPod Classic, the Zune has to do at least that well. Oh, and up the audio playback time too - don't give people an excuse to buy an iPod because the Zune can't last as long. Enhance the on-device software: I still want a clock darn it! And I want to be able to read the ID3 comment field on my songs since I usually have artist bios and Amazon.com reviews in there. Let me dive deeper into my music. Add a "zoom to fit" function for video playback so I can use all my screen and watch video in the right aspect ratio. I keep hearing about demand for audio books as well - I don't listen to audio books, but there seem to be a good number of people that do, so let's bring them into the fold. Performance: I personally find the Zune software pretty snappy, but I have pretty good hardware. I see a lot of complaints from people who find the software sluggish, slow to load, etc. Work on making it lean and mean - and it's not like there's a high bar here; iTunes performs like a water buffalo after a shot of tequila laced with Rohypnol. Why does the Zune software chew up 80%+ of my dual core CPU when it does a start-up scan? Keep the aggressive folder monitoring, but don't chew up too many CPU cycles doing it. Fix the Install Bugs: I'm going to go berserk and do something crazy like buy an iPod if I keep seeing comments from people (especially on YouTube) who can't get the Zune software installed. Make it robust, make it fast, make it simple. It's brutal that if I download the latest version from the Zune.net Web site I have to stare at it "checking for updates" for 90 seconds. I know the installer has gotten better from v1, but keep at it - if the person can't get the software installed, they're probably not going to keep the Zune. And, really, something like Unzoone shouldn't even have to exist. An uninstall should really be an uninstall, and if need be, create an official Zune install clean up program. Continue to Improve Sync Groups & Autoplaylists: They got a lot better in the 2.5 update, but it's still ridiculous that if I create a sync group asking for my past 60 days of photos that it will give me all 18,000 of my photos because I had to re-install the software and every photo is considered "new". The Zune software should see the EXIF data on photos, and the file creation date on music and video files, when determining the date of a file. Improve Video Transcoding: Video transcoding is, at best, an incomplete solution. The first problem is that people have content in all sorts of formats (MKV, Divx, Xvid, etc.) and the Zune software won't import these videos. This really confuses people - expand the format support so even if you can't support it in the device, you can transcode it. And improve the transcoding process! I can't count the number of times I'll think my Zune is done the sync and then it will start transcoding a video...then go to 50% complete, then back to 0%, then up to 80% - it's a mess. Thank goodness the Windows Media Encoder back-end is multi-core friendly though - good on 'ya for getting that part right. Finishing Touches: Let us create our own categories for videos. Let us edit the metadata on our videos so we get a nice browsing experience on the Zune. Fulfill Your Destiny: Content purchased on the Xbox Live marketplace should be downloadable on my PC and play on my Zune, and content purchased on the Zune Marketplace should also download to and play on my Xbox 360. Microsoft is one company - act like it and complete the circle of content happiness that your users expect you to. Offer an MP3 Filter in the Marketplace: Make it easy for me to shop for MP3s only, and give me a way to tell the music publisher that I was all ready to buy the song, but didn't because it's not in MP3 format. Let us, the customers, help you break the chains of DRM that we know you don't want (well, except for the Zune Pass, we understand why there's DRM there). So what are your thoughts about where the Zune is as today? In your mind, what needs to be fixed to improve your Zune experience? Or, if you're not a Zune owner, what's been holding you back? I'd like to hear from everyone on this, even if it's just to re-iterate one of the points I made above. I want to get a feel for what people think is important. Jason Dunn owns and operates Thoughts Media Inc., a company dedicated to creating the best in online communities. He enjoys photography, mobile devices, blogging, digital media content creation/editing, and pretty much all technology. He lives in Calgary, Alberta, Canada with his lovely wife, and his sometimes obedient dog. He likes the Zune, despite all the criticism levelled at it in this article.